Throughout this semester we have studied the Jewish presence and influence in some of the major Broadway shows of the twentieth and twenty-first centuries. However Jewish presence in this form of entertainment and expression has its roots in Yiddish theatre of the late 1800’s and early 1900’s. 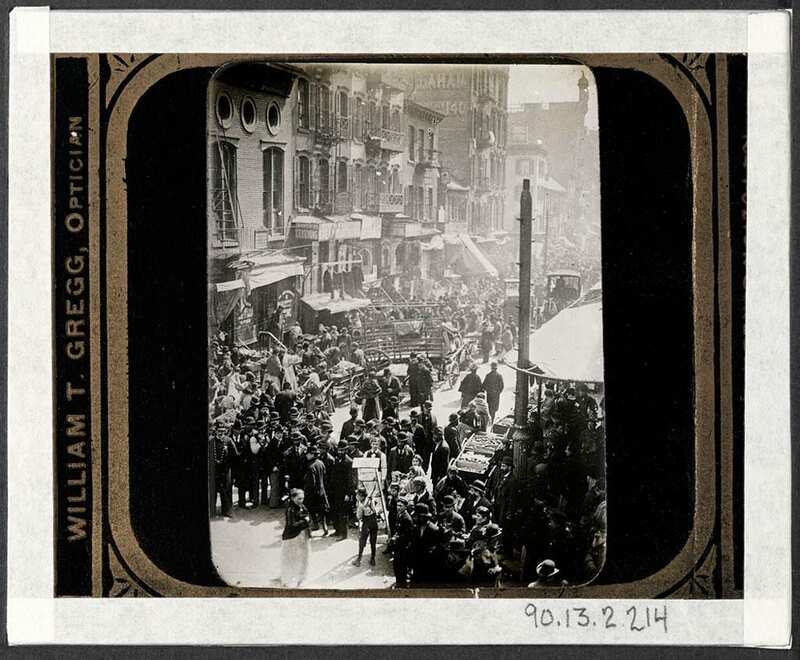 While the height of the Yiddish theatre’s popularity among American Jews in New York City was brief, it’s history, role in assimilation, and lasting legacy all attest to its importance to the American Jewish story. 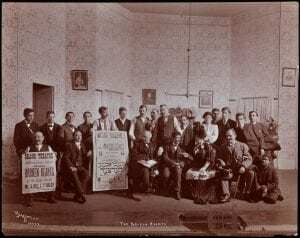 Jewish people from around the world have expressed themselves through performing arts for thousands of years, but Yiddish theatre as we think of it today was a phenomena of Jewish immigrant communities living in the Lower East Side of Manhattan beginning in the late 1800’s and continuing at its peak until the early 1940’s. Yiddish theatre began “with its origin in Jassy Romania in 1876” (Stern 189). These Eastern European beginnings were humble and the art from was still in its infancy. Fleeing persecution in Eastern Europe and Russia, a massive wave of immigration to the United States took place and with these people came the Yiddish theatre. Theaters began taking root in the new Jewish communities such as the lower East side of Manhattan where Yiddish theatre matured and became popularized in the community. According to author Aaron B. Seidman’s studies the first performance of Yiddish theatre in America took place in New York City’s Turn Hall in 1882 and there is a “general agreement that the first production ended in a dismal failure” (Seidman 70). Despite it’s struggling early days, the popularity of the theatre in the Manhattan Jewish communities would soon take off as the reputation was changed from vulgar and showy “vaudeville” style productions to more high brow plays and a more popular and purer level of art (Warnke 323). Eventually it would become one of the focal points of these new Jewish immigrant communities. It is difficult to understand Yiddish theatre’s significance without a knowledge of some of its key characteristics. It was known for a flamboyant style of acting that largely spoke to issues that most Jewish-American immigrants were experiencing at the time. Audiences were often outspoken during performances and would find themselves laughing and crying as they could relate to the characters and situations being portrayed. “Patrons felt pride in their Jewishness, as Jewish playwrights and actors expressed Jewish vitality. And Jewish playgoers shared the patriotic enthusiasm of the general American public when they cheered Boris Thomashevsky in Der Yidisher Yenki Dudl, or applauded the song “Three Cheers for Yankee Doodle,” typical genre pieces” (Sorin). These themes highlighted the duality of being both an American and a Jew in a time when this group of mostly new immigrants was dealing with obstacles of assimilation and identity. Just as later plays namely “Fiddler on the Roof,” “Funny Girl,” and others were able to help push the normalization and assimilation of “Jewishness” in American pop culture, the Yiddish theatre productions of the late 1800’s and early decades of the 1900’s helped Jews to normalize and portray their experiences even though it was an almost entirely Jewish activity at this time. The relatable nature of the Yiddish theatre made it an extremely popular staple of American Jewish urban communities. “The non-Jewish social historian Hutchins Hapgood reported in 1901 that “many a poor Jew, man or girl, who makes no more than $10 a week in the sweatshop, will spend $5 of it on the theatre” (M. G. 3). The theatre spoke to these communities of Jews all of different backgrounds who could come together around relatable experiences. “It was the theater, Harold Clurman noted in 1968 that “even more than the synagogue or the lodge, became the meeting place and the forum of the Jewish community in America between 1888 and the early 1920s” (Nahshon). The theatre’s importance cannot be overstated as it was, along with the synagogue, the bonding force of Jewish immigrant communities, allowing them to navigate their way through simulation together and express this experience through live performance. While Broadway musicals are now the king of the theatre world, and we may not hear much about Yiddish theatre today, its legacy lives on. Talented Jewish writers, producers, songwriters, actors, and others continue to entertain the masses through Broadway shows and other forms of entertainment in the U.S. 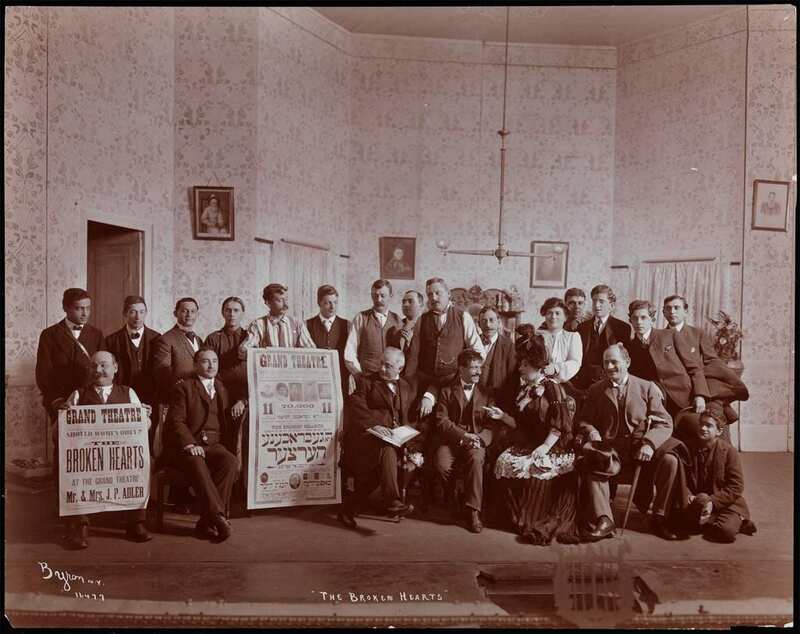 The Yiddish theatre served to help a community of immigrants develop a bond and a sense of community while simultaneously navigating assimilation to their new nation. Even as the Yiddish theatre is past its prime, which was only a few decades long, it displays the beauty of the assimilation and acceptance of Jewish people into American society. While this assimilation was not achieved without overcoming severe discrimination and anti-semitism among other issues, the Yiddish theatre was the root from which Jewish presence in entertainment and popular culture was able to grow in the following decades. Jewish-American talent is no longer seen as different or other, but rather as mainstream and predominant in our nation’s culture, and Jewish performance can continue to shine and reach a wider audience now than ever before. Nahshon, Edna. “The History of Yiddish Theater.” Museum of Yiddish Theater, 2016, www.museumofyiddishtheater.org/the-history-of-yiddish-theater.html. M. G. “Jewish Theatre Issue: An Introduction.” The Drama Review: TDR, vol. 24, no. 3, 1980, pp. 2–4. JSTOR, JSTOR, www.jstor.org/stable/1145304. Seidman, Aaron B. “The First Performance of Yiddish Theatre in America.” Jewish Social Studies, vol. 10, no. 1, 1948, pp. 67–70. JSTOR, JSTOR, www.jstor.org/stable/4615276. Sorin, Gerald. “Yiddish Theater in New York.” My Jewish Learning, My Jewish Learning, 2016, www.myjewishlearning.com/article/yiddish-theatre-in-new-york/. Stern, Gail F. “Hooray for Yiddish Theatre in America!” Journal of American Ethnic History, vol. 8, no. 2, 1989, pp. 189–191. JSTOR, JSTOR, www.jstor.org/stable/27500710. Warnke, Nina. “Immigrant Popular Culture as Contested Sphere: Yiddish Music Halls, the Yiddish Press, and the Processes of Americanization, 1900-1910.” Theatre Journal, vol. 48, no. 3, 1996, pp. 321–335. JSTOR, JSTOR, www.jstor.org/stable/3209042.